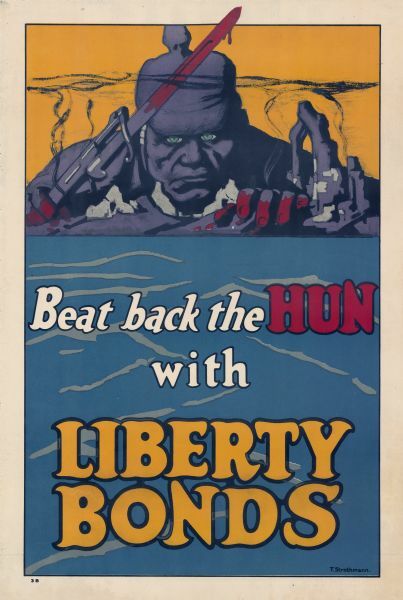 United States Department of the Treasury Liberty bonds poster. Depicts a giant German soldier, with blood on his hands and rifle bayonet, leaning over the rubble of a city and looking over a body of water. Number 3-B in a series.